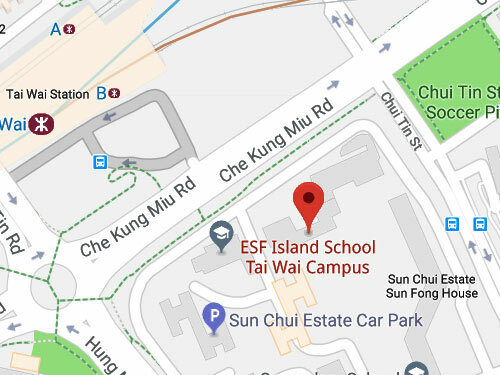 Island School is based in two Sha Tin campuses in the New Territories – one at Sha Tin Wai and the other at Tai Wa. 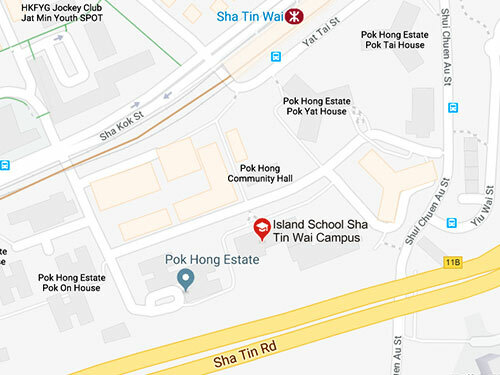 Both campuses are close to MTR stations and bus stops. Maps and directions are available here. Each school building consists of classrooms, playgrounds, a School Hall, library, creative hubs, a medical room monitored by a health professional, a tuck shop and specialist rooms for Music, Art, Design and Technology (D&T) and Food and Textiles Technology. All classrooms are fitted with the latest interactive and digital facilities served by a broadband and wireless network. Facilities at Island School are available for hire by friends of the school, organisations and the broader community. Availability is subject to school requirements. More details on the facilities available for hire and the price list is available in Price List – Facilities Hire. If you are interested in hiring our facilities, please fill in the application form Facilities Hire – Application Form with your event details and send to the Business Manager.